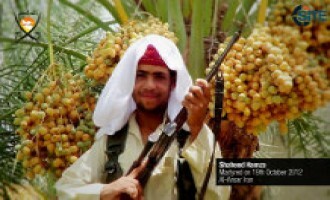 Ansar Iran Releases Video Calling for Support, Threatening "Traitors"
The Ansar Iran Movement, a Balochistan-based Sunni jihadist group, released a video justifying its jihad against the Iranian government, and calling for support and threatening to strike Sunni "traitors" who cooperate with the government. 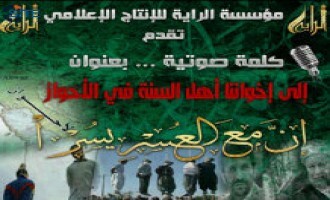 The Shura Council of the Army of the Ummah [Jeish al-Ummah], a Palestinian militant faction, released an audio message calling upon Sunnis to help their brethren in Ahvaz, Iran. The Ansar Iran Movement invited Sunni Arabs to come to its home base, Balochistan, to participate in jihad against the Iranian government. The Ansar Iran Movement, a Balochistan-based Sunni jihadist group, announced its formation of an "anti-narcotics wing," and in a separate message, provided six pictures from its "youth training program," showing children brandishing rifles and holding its banner. The Ansar Iran Movement, a Balochistan-based Sunni jihadist group, posted a story on its blog and Facebook page of a young fighter and his wife, imparting a lesson about the importance of jihad and the courage of the mujahideen. The Ansar Iran Movement, a Balochistan-based Sunni jihadist group, demanded Shi'ites to leave Balochistan or be killed, claiming that they no right to remain while the native inhabitants suffer displacement and unemployment. 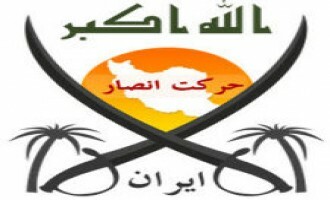 The Ansar Iran Movement, a Balochistan-based Sunni jihadist group, announced its cooperation with the anti-Shi'a group Sipah-e-Sahaba Iran (SSI) and its desire to work with all parties that strive to overthrow the Iranian regime. The Ansar Iran Movement, a Balochistan-based Sunni jihadist group, announced its authorizing an individual to speak in its name, accept financial donations, and "coordinate" with Sunnis to face the Iranian "danger". The Ansar Iran Movement, a Balochistan-based Sunni jihadist group, released an audio speech from its spokesman, Saifullah al-Balochi, threatening Iran and calling upon Arabs to offer support. Ansar Iran Movement, a Balochistan-based Sunni jihadist group, incited Muslims to participate in and support jihad against Iran in an English-language video. 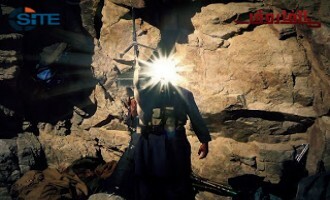 The Balochistan-based "Harakat Ansar Iran," the Ansar Iran Movement, denied accusations by the Iranian government that it receives foreign support, and threatened Iran over its alleged kidnapping of civilians. 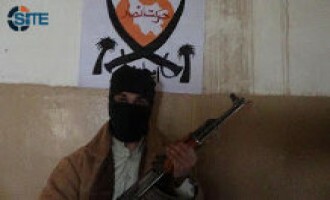 A Balochistan-based group calling itself "Harakat Ansar Iran," or Ansar Iran Movement, claimed responsibility for the October 19, 2012, suicide bombing outside a mosque in Chabahar, Iran, that killed two Basij militia elements. The al-Nusra Front claimed responsibility for an April 24, 2012 bombing at the Iranian Cultural Consulate in the al-Marajah Square in Damascus, Syria.